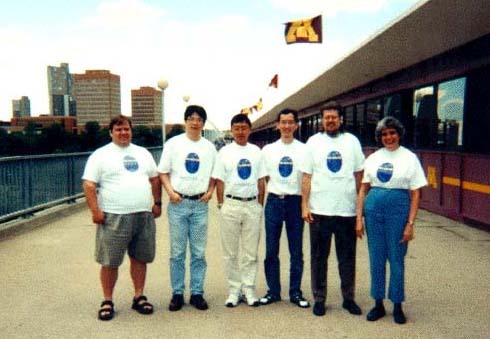 From left to right: Brian Hill, Lynda Ellis, Michelle Wagner, Yuemo Zeng, Larry Wackett. 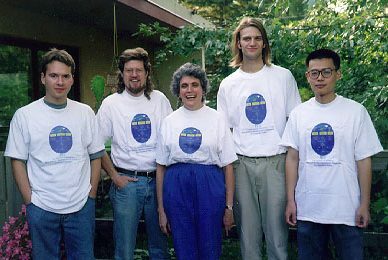 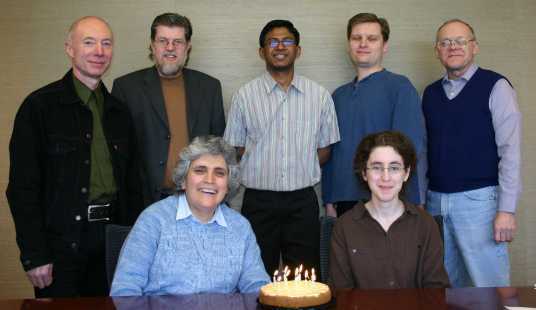 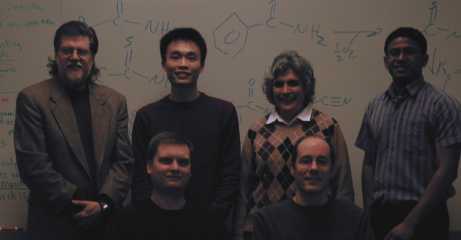 From left to right: Colin Sweeney, Lynda Ellis, Dong Jun Oh, Eva Young, Larry Wackett. 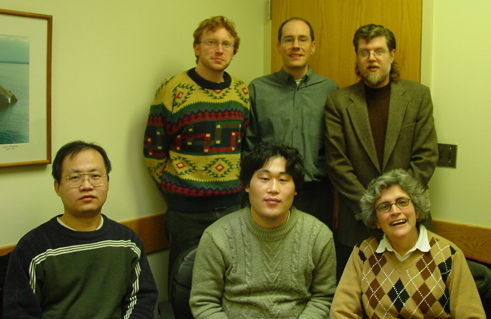 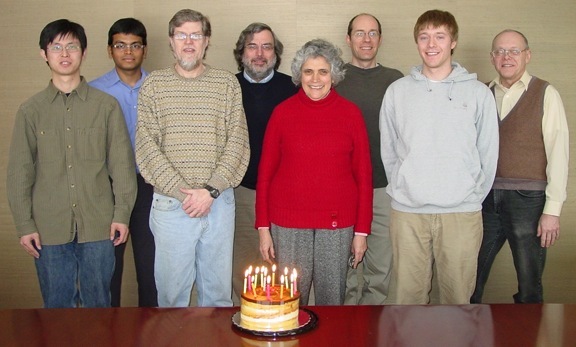 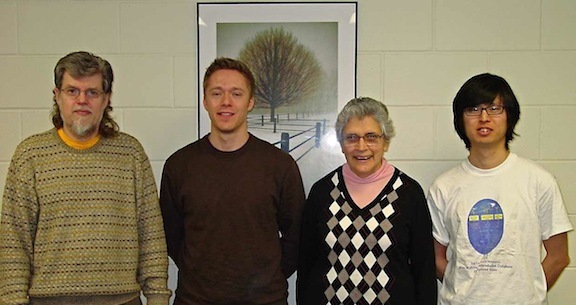 From left to right: Ryan McLeish, Larry Wackett, Lynda Ellis, Stephen Stephens, Jian Ma.